Saudi Arabia said Thursday the murder of journalist Jamal Khashoggi appeared to have been premeditated, based on information from Turkey, backing away from an earlier claim that he was killed in a brawl. It was the latest twist in the shifting official narrative of the October 2 killing inside the kingdom’s consulate in Istanbul, which US President Donald Trump has derided as “one of the worst cover-ups” in history. Saudi Arabia has sought to draw a line under the crisis, and a rights group said Thursday that authorities had allowed Khashoggi’s eldest son Salah and his family to leave the country after lifting a travel ban. But the kingdom still faces mounting pressure from sceptical world powers demanding answers and to know the whereabouts of Khashoggi’s body. The Saudi public prosecutor said he was making the latest assessment on the basis of evidence supplied by Turkey, which has been the source of a series of grisly revelations about the government critic’s death. “Information from the Turkish authorities indicates that the act of the suspects in the Khashoggi case was premeditated,” the office of public prosecutor Sheikh Saud al-Mojeb said in a statement carried by the state-run Saudi Press Agency. “The public prosecution continues its investigation with suspects… to complete the course of justice. 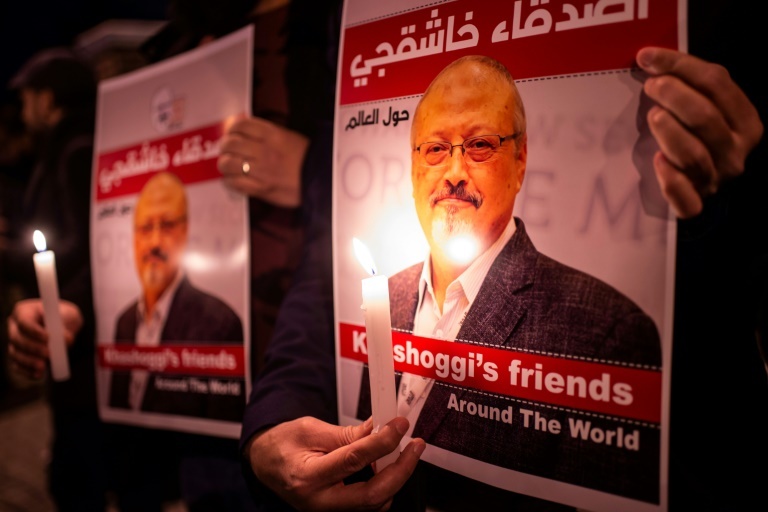 Khashoggi was the victim of an “extrajudicial execution” committed by the Saudi state, UN expert Agnes Callamard said Thursday, calling for an international investigation. Separately, CIA Director Gina Haspel briefed Trump on the latest developments in the investigation of the killing after a fact-finding mission to Turkey. As the new Saudi admission came on Thursday, Turkish Foreign Minister Mevlut Cavusoglu said Riyadh still needed to provide answers to remaining questions, such as who ordered the hit and what happened to Khashoggi’s body. “Where is (the body)? You admit they did it, but why are they not saying (where)?” Cavusoglu said at a press conference in Ankara. The slow drip of Saudi admissions cast a pall over a showcase three-day investment forum that ended on Thursday, with organisers putting a brave face on the array of no-shows among big-name guests. The Saudi energy minister said foreign companies which boycotted the Future Investment Forum (FII) had “apologised” and vowed to restore normal relations. “Some companies abstained from the conference due to political pressure as a result of an odious campaign directed from outside the kingdom which has failed,” Khalid al-Falih told state-run Al-Ekhbariya news channel. “All the companies that abstained have been calling us during the past 48 hours to apologise,” Falih said. A long list of investors and international policymakers declined to attend the conference, nicknamed “Davos in the desert”, amid growing outrage over the Khashoggi murder. Siemens chief executive Joe Kaeser, corporate chiefs from JP Morgan, Ford and Uber, and media powerhouses like CNN and the Financial Times all scrapped plans to attend. Ministers from Britain, France and the United States also stayed away. In his first public comments on the case on Wednesday, Saudi Arabia’s powerful Crown Prince Mohammed bin Salman denounced the “repulsive” murder and pledged that “justice will prevail”. The departure of Khashoggi’s son, Salah, for Washington came after he was photographed on Tuesday with Prince Mohammed during a condolence visit, staring coldly as the pair shook hands. The photo went viral on social media, where rights activists demanded the immediate lifting of the travel ban. There was no immediate comment from Saudi officials, but Human Rights Watch Middle East director Sarah Leah Whitson told AFP they were apparently allowed to leave after the ban was lifted. “Jamal’s family needs a place to be together where they feel safe to mourn their beloved one,” said Randa Slim, director of conflict resolution at the Washington-based Middle East Institute, who knew the slain journalist personally. “It is tragic that it took his death to get the Saudi authorities to grant them the freedom to travel,” Slim told AFP. An official in Washington said US Secretary of State Mike Pompeo had “raised the safety and security of the Khashoggi family members with the Saudi leadership”, but declined to discuss the specifics of Salah’s travel.